Police made an arrest Friday in the death of a young woman with family on Chebeague Island. Emily Todd, 25, began her life on Chebeague Island but grew up in Connecticut, where her family says she met a man online. Friday morning, police arrested and charged that man with murder. Brandon Roberts is charged with felony murder, first degree robbery, and using a firearm in the commission of a felony. If convicted, he faces 25 years to life in prison. Police say Roberts was in a short-lived relationship with Todd. They suspect that when she ended the relationship, he killed her. Friday morning, Todd’s family from Maine drove to Connecticut for her funeral. “She was the most beautiful little girl who loved her grandmother and would play on the beach with her and everything,” family friend Nancy Hill said. People on Chebeague Island still can’t believe Todd was killed. 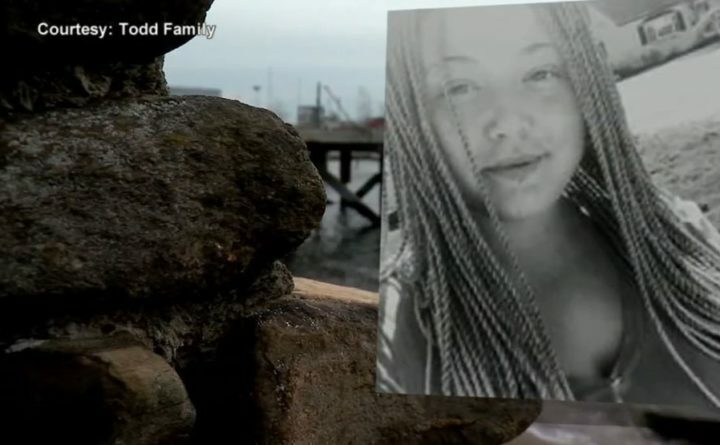 Several days ago, her body was found on a dock in Bridgeport, Connecticut. Police allege that she was shot in the back of the head. “[It’s] just absolute horror that that could happen,” Hill said. Todd worked with dementia patients in Connecticut. Her employer says she was a kind and beautiful soul.